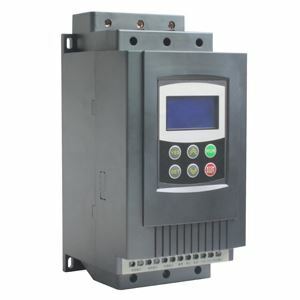 20 hp soft starter, 15 kW three phase 240v, 380v, 460v, 690v AC motor starter. Model GS2-015 (240v), GS3-015 (380v), GS4-015 (460v), GS6-015 (690v). A variable frequency drive (VFD) is much more expensive than a soft starter, and has much higher energy losses so is more expensive to run. For a fixed speed operating induction motor, a soft starter is a lower capital cost and a lower running cost than a VFD. A VFD may not be necessary unless speed or torque control is required. Of course if money is not concerned a VFD is much better a soft starter and a VFD normally has built in all of soft start features.